À deux jours de l'UFC 231, les stars du combat principal et coprincipal Max Holloway, Brian Ortega, Valentina Shevchenko et Joanna Jedrzejczyk se sont entraînés devant les fans à Toronto. Le commentateur de l'UFC, Joe Rogan, vous présente son analyse d'un des plus gros combats de l'année et du plus important combat féminin de l'histoire de l'UFC chez les poids mouche entre Valentina Shevchenko et Joanna Jedrzejczyk. 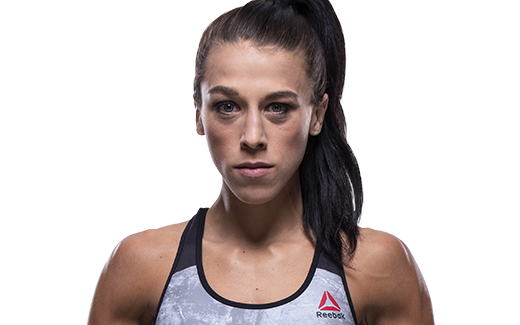 If Joanna Jedrzejczyk wasn’t known to most UFC fans prior to 2015, she surely leaped onto their radars following her crushing knockout of inaugural strawweight champion Carla Esparza at UFC 185. Jedrzejczyk was 2-0 in the UFC and 8-0 in her MMA career at the time she faced the gritty Esparza, winner of the televised series The Ultimate Fighter: A Champion will be Crowned. Jedrzejczyk dominated almost from the start, using her Muay Thai skills to pressure Esparza before finishing her in the second round with a barrage of punches. The victory made Jedrzejczyk the UFC’s first champion from Poland and only its third European champion, joining Bas Rutten in 1999 and Andrei Arlovski in 2005. Although she may have been relatively new to MMA, having started her professional career in 2012, Jedrzejczyk was not new to combat sports. She began studying Muay Thai as a teenager to be in better physical shape and took to it quickly. In 10 years of competition, she won more than 60 matches and was a five-time amateur world champion and four-time European champion. Jedrzejczyk made her professional debut in May 2012, defeating Sylwia Juskiewicz by unanimous decision at Kolobrzeg, Poland, then beating Lily Kazak with a rear naked choke. 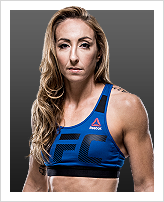 She won four more times in Europe before making her UFC and United States debut at UFC Fight Night in July 2014, displaying raw but effective striking skills to score a unanimous decision over Brazilian Juliana Lima. After a controversial split decision over previously unbeaten Claudia Gadelha of Brazil in Dec. 2014, Jedrzejczyk earned a shot at the strawweight belt, which Esparza had held for just three months. 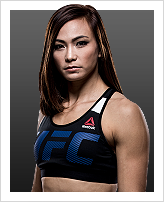 Her commanding win put her at the top of the division – and makes her a target of a strong group of contenders. TRAINING: Two sessions, lots of rest, some media. We work on the things that we need to improve on. Lots of cuddles with my dogs - Coconut and Jasmine - some pool, so I can work on my tan. When and why did you start training for fighting? I was fighting Muay Thai for ten years. I started for myself and I just wanted to be in shape. 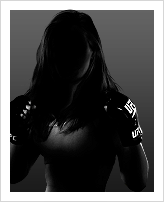 I've been fighting MMA since 2012 and I want to be THE best female fighter in my division. What does it mean for you to fight in the UFC? It was my biggest dream. It came true and I will do my best. What was your job before you started fighting? I’ve been a pro fighter since 2005. I have a small business with my mum. Specific accomplishments in amateur competition? Five-time IFMA Muay Thai amateur world champion, four-time IFMA Muay Thai European champion. Specific accomplishments in pro competition? All in Muay Thai: WKN World Champion, J Girls Champion, WBKF Champion, WKF European Champion, WMC Champion.